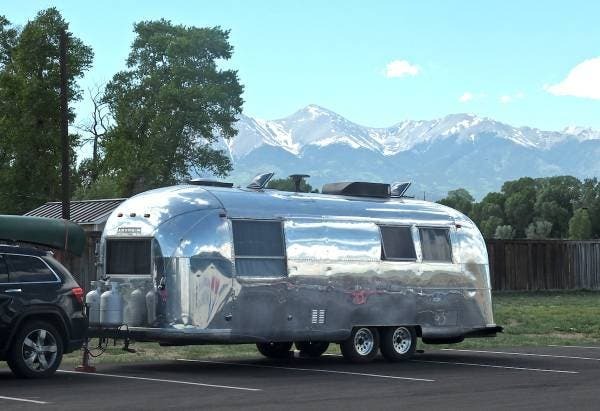 Airstream is a brand of luxury RV manufactured in Jackson Center, Ohio. Even though the company employs less than 400 people it is the oldest recreational vehicle manufacturer in the nation. 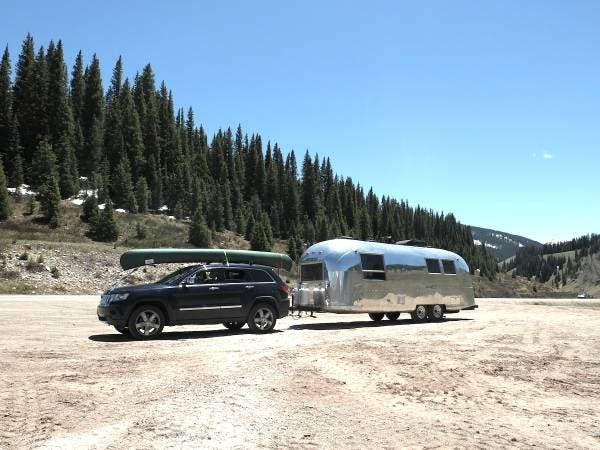 Airstream trailers are easily recognized by the distinctive shape of their rounded aluminum bodies. This shape dates back to the 1930s and is based on designs created by Hawley Bowlus who is perhaps also known as the chief designer of Charles Lindbergh’s plans, the Spirit of St. Louis. Besides having a rich history they are probably more well noted for looking like a silver bullet barreling down the highway with their shiny facades and streamlined curves. 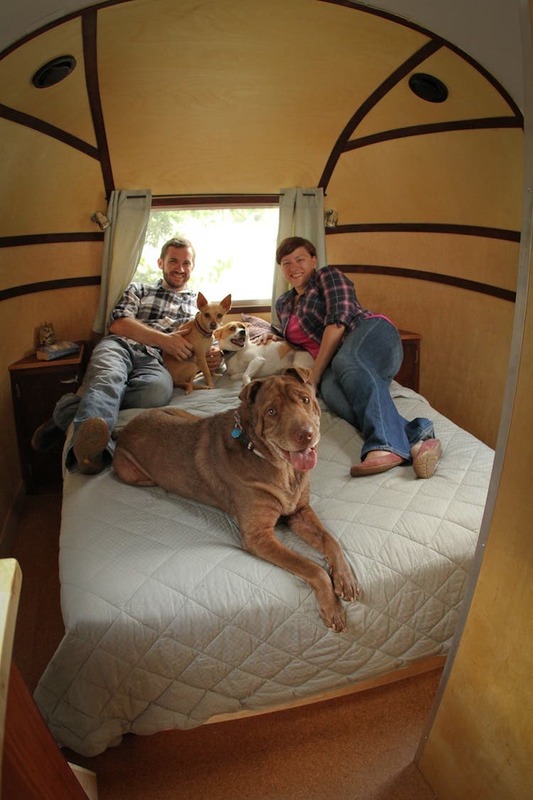 One of the families who not only recreate but live in an Airstream – of which there are many – are Jason and Kristin Snow. An adventure-addicted couple in their early thirties who walked away from corporate jobs and a conventional life in 2013 to travel a new road, the two have been met with less routine and more serendipity, minimalism, self-reliance, and new friends at every turn. They are a dynamic couple with a unique tiny house and an awesome opportunity for another adventurous soul! 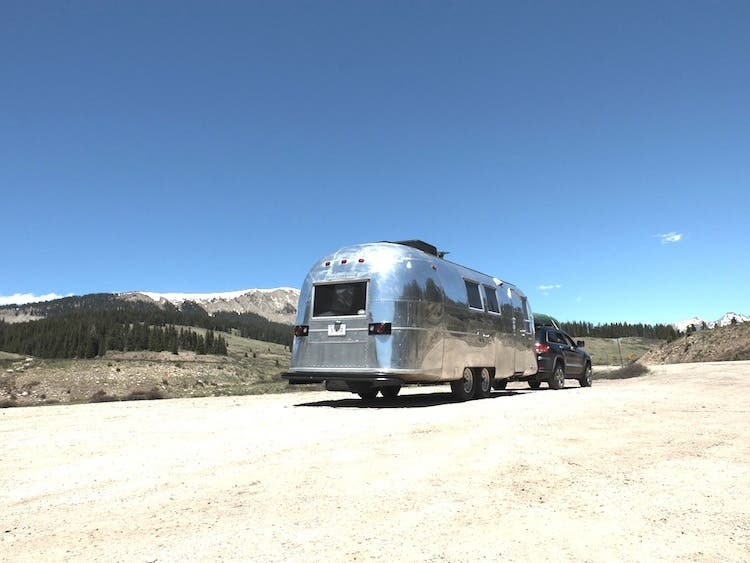 The Snows (known online as The Snowmads) are now selling their beautiful 1965 26-foot Airstream Overlander International. 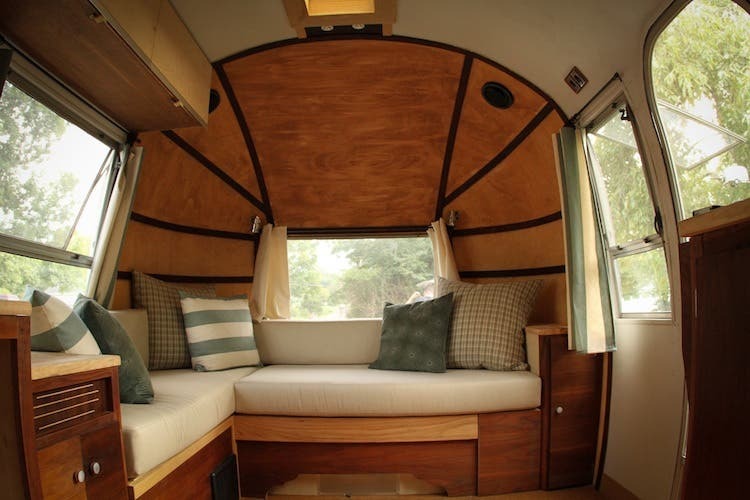 The Airstream was completely gutted and renovated over the course of a year after spending many years of her life rotting away in a barn. 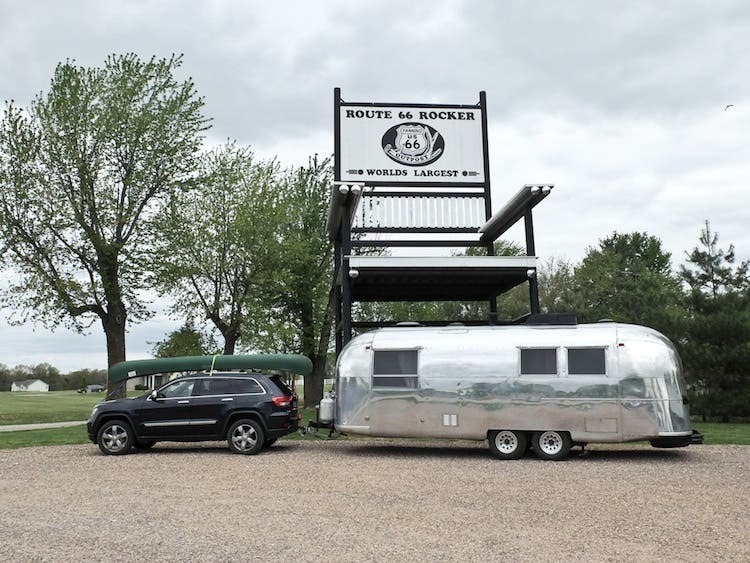 A true one-of-a-kind, the Snow’s restored their Airstream from the frame up to feel more like a tiny home than a travel trailer, but with all the functionality to easily pick up and move anytime. Thanks to the addition of solar and a composting toilet, its new owner(s) can even park off the grid indefinitely! The Snowmads are only selling her (and it breaks their hearts, to be sure!) because they want a smaller, motorized RV that will fit in some smaller spots in both backcountry and urban areas. They are willing to make it a great deal for anyone interested in buying their Jeep Grand Cherokee tow vehicle too as a package. Jason and Kristin have lived and worked full-time in this trailer for a year now, covering 35 states and nearly 15,000 miles. They’ve been everywhere imaginable with the trailer, from RV parks, to friends’ driveways, to dispersed camping in the mountains of Colorado. 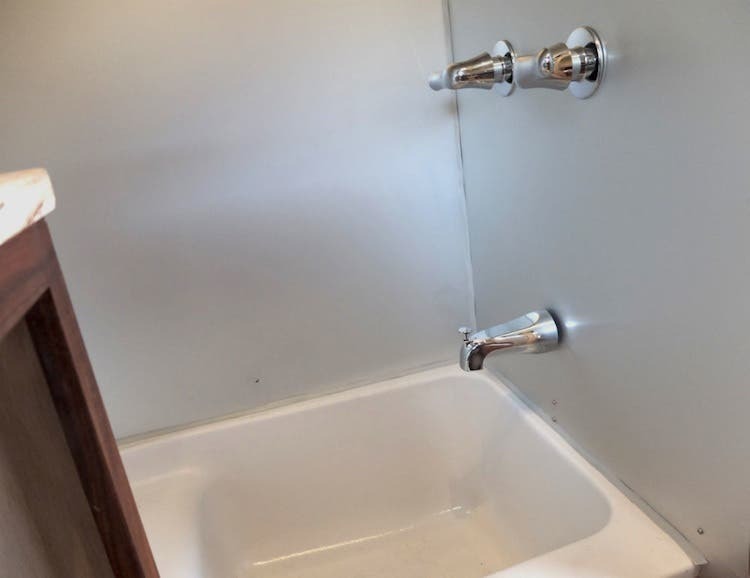 This unique, cozy Airstream would be perfect for anyone who loves vintage and wants one that’s ready to go right away without the time and investment of undergoing a renovation. 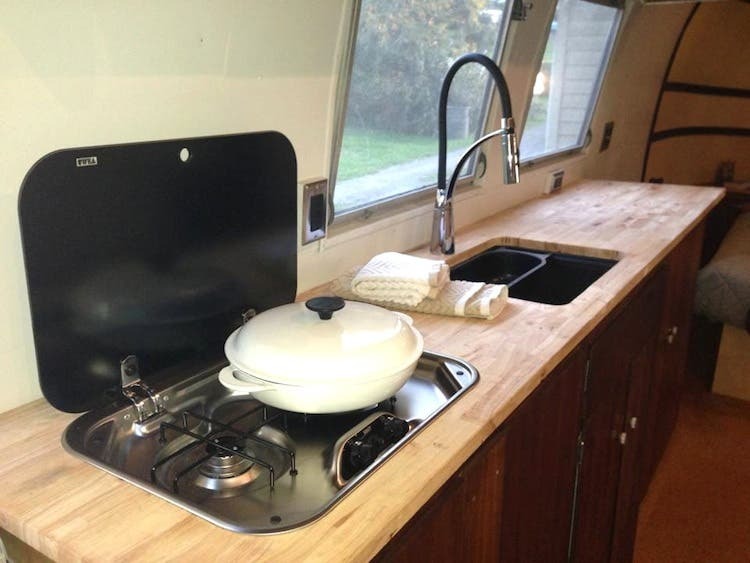 She’s perfect for the full-time traveler, weekend or vacation camping, as a mobile or home office, a stationary tiny house, or a vacation home. To find out more or view the listing please visit this page. Amt of power needed to pull the Airstream? Did you add much insulation? Wally Byam’s book “Travel Here and Abroad, the New Way of Adventurous Living” is a really good read for anyone interested in the possibilities of living on the road in any kind of ‘tiny house’, but in particular one that is designed to be on the road rather than moved and parked. Great pictures from his journeys with caravans spanning the globe. He took groups across Europe, Africa, Asia, Central America. “Trailer Travel Here and Abroad” and “Fifth Avenue On Wheels” have been re-issued as a single book for $25 plus shipping, which is good since today the cheapest used ones I found of “Trailer Travel” was over $35 and the cheapest “Fifth Avenue” was over $75. He espoused the same views as most of the people in the tiny house movement: Better energy efficiency of the structure and of the society, less resources used, move on down the road if it suits you, get by with less, live a broader life. Beautifully done. I’m off for a RTW trip next year so I’m not going to get my live-in travel trailer until my return. 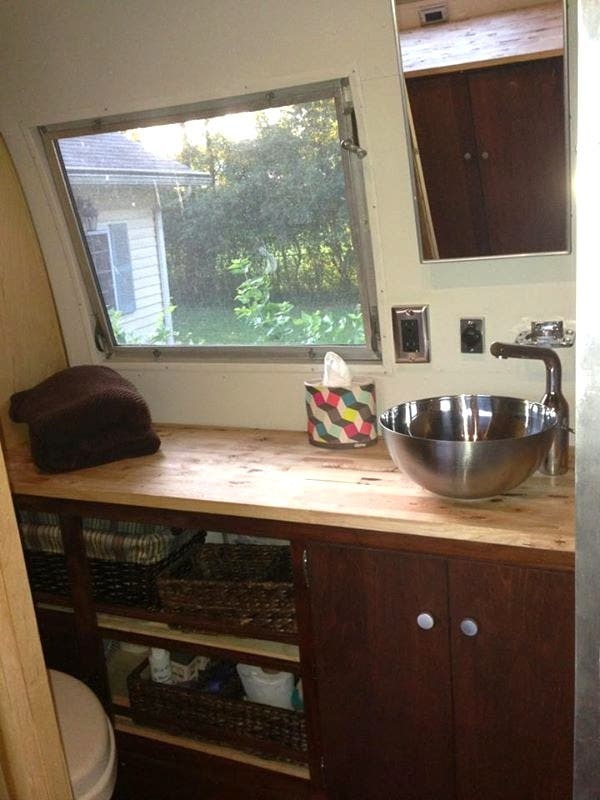 So nice to see someone use a composting toilet and a flex kitchen faucet. Is your solar a site set up? not sure how you could attach it to the curved aluminum body.